I went along to the Dermalogica skincare event at The Barn last night where I met with Maddy, Carly and Tamara from The Barn, Gemma from Dermalogica HQ and many other beautiful ladies eager to learn more about the new PowerBright TRx products and Dermalogica Bio-Surface peel. 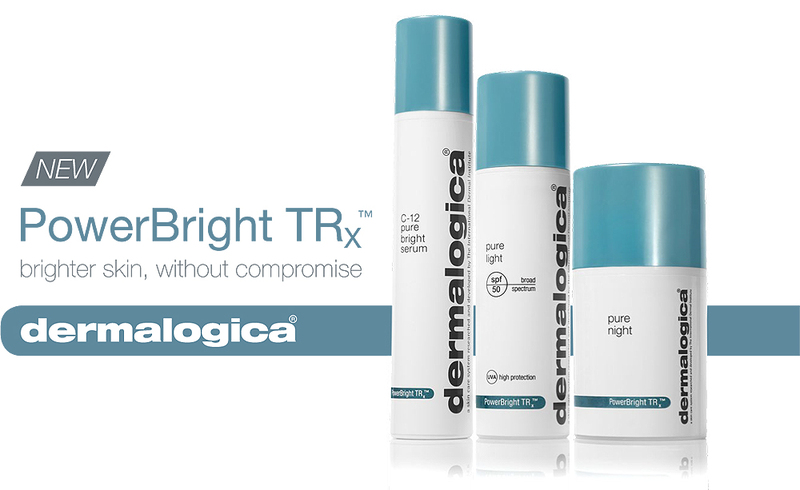 PowerBright TRX is the newest addition to the Dermalogica family to help combat hyper-pigmentation. It’s great to use alongside all of the Dermalogica lines and can be purchased at The Barn. It has 3 parts to the treatment, a day cream containing a high SPF, a serum (which can be used twice per day) and a night cream. I’ll be doing a separate blog post on how I get on testing this product so stay tuned for the results! You might wonder what hyper-pigmentation is? I learnt from the experts at the event, that hyper-pigmentation can be caused by sun damage, inflammation or other skin injuries where an excess production of melanin in the lower layer of the epidermis occurs. If you suffer from hyper-pigmentation you may wonder how you can reduce the appearance of these effects? 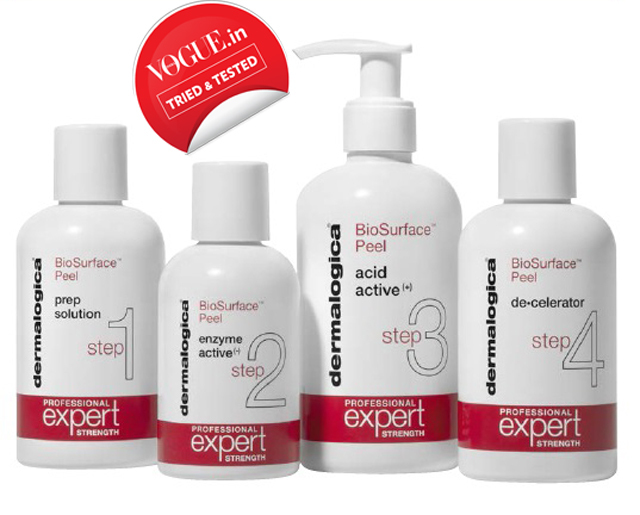 Gemma from Dermalogica informed us of the ways to do just this and to keep your skin looking and feeling bright. She gave us these useful tips! Exfoliation is key, it helps to increase cell turnover, remove dull/dead cells and help with collagen synthesis. As newer skin cells come to the surface, they appear a lot plumper as they are full of lipids and your skin becomes better at producing collagen by itself. Drinking water is a no-brainer and we all know we should drink more of it to keep cells hydrated, so get your water bottles out Barnies and be mindful of your caffeine intake! Micro-zone treatments are 20-minute skin treatments that can really help with skin brightening, although harder to combat hyper-pigmentation in this short amount of time. In addition to homecare products, the girls at The Barn are all trained to do a skin treatment called the Bio-surface peel. This is a biphasic chemical peel, meaning it performs a heavier duty exfoliation that only affects the dermal layer of your skin with no downtime - unlike medical grade peels you may have read about. Maddy performed a demonstration of this treatment so we could see what is involved! Prep Solution: salicylic acid helps dissolve and remove any excess dirt/oils and prepares the skin for the rest of the treatment. Enzyme Active: powerful plant enzymes unlink your skin cells and help digest skin proteins to help the following layers of acid penetrate further. Acid Active: your skin is assessed for the recommended amount of acid applications (which can range from 3-5 depending on your skin type). De-celerator: is applied to restore your skin to natural pH and stop the chemical reactions continuing beyond their allocated time on the skin. After this stage, the girls apply moisturiser and an SPF (to almost over-protect the skin), either Super Sensitive Shield or Ultra Sensitive Tint. Dermalogica recommend these two SPFs as they are ‘physical only’ sunscreens which means they contain minerals and reflect/block UV rays as opposed to ‘chemical sunscreens’ that absorb UV rays into the skin. After you have had 3 Bio-surface peels you receive a mini sample kit to use especially during the first 2 days after the peel to ensure your skin is properly protected against UV-A and UV-B rays. I knew that the skin was a complex organ but wow I’ve learnt so much in just 2 hours and really have been inspired to protect it! Personally, having naturally fair skin and and freckles I’ll certainly be protecting my skin against UV-exposure even on days when it isn’t as sunny! I hope you’ve enjoyed reading Barnies and learnt a little bit more about PowerBright TRx and the Bio-surface peel available at The Barn, I know I have! Until next time, keep your skin safe! P.S. If you’ve tried the PowerBright TRx or had the Bio-surface peel, I’d love to know how you got on? Comment below with your experience and results?